There were also many visions that changed significantly over time. William Branham claimed he had a series of eight prophetic visions in June 1933. 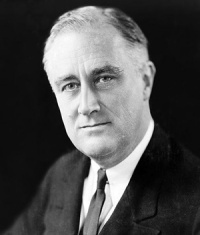 In the first vision, Franklin D. Roosevelt picked on the Germans and started the Second World War. William Branham stopped telling this part of the prophecy in 1961, but still maintained that there were seven other major parts to the 1933 vision that were "Thus Saith The Lord". 2.1 Why would he mention Roosevelt a number of times but not in respect of the prophecy? Why would he mention Roosevelt a number of times but not in respect of the prophecy? William Branham mentioned President Roosevelt at least ten times in his sermons prior to the first telling of this prophecy. Why did never mention his prophecy regarding Roosevelt prior to September 1958? The USA did not lead the world into WWII, as William Branham stated that he had prophecied. In fact, the United States stayed out of the conflict until 1941 when Japan attacked Pearl Harbor. It is not clear how William Branham omitted this fact, as he preached about Pearl Harbour a number of times, condemning the soldiers for their revelry. William Branham must have realized his error, because when the Church Ages Book was published in 1965 it included the statement that "an Austrian by the name of Adolph Hitler would rise up as dictator over Germany, and that he would draw the world into war." There is no reference to Roosevelt in the Church Age Book. On December 4, 1960 William Branham said, "There it is on paper as the Holy Spirit said...America with this President Roosevelt will be the rascal of all of them." And that's right; he was." William Branham's earlier statements about FDR disclose that he thought his 4 term leadership was a "dictatorship" (May 1954), and he condemned him for bringing in Catholic holidays (December 1954). The prophecy was written down, so each retelling of it should have been consistent. However, William Branham never mentions Roosevelt in connection with the 1933 prophecies until September 1958. At first, FDR would run for four terms (Thus Saith The Lord). By 1960, William Branham says the vision showed FDR picking on the Germans and starting WWII. Then, in December 1960 this changes so that FDR only "helped" the world go to war (with "Thus Saith The Lord"). In 1961 this changes back to the original version so that FDR runs for four terms, and then the prophecy disappears. This is the only part in the series of 1933 visions that does not make it into the summary of the 1933 visions in the Church Ages Book. We have received several comments that refer to secret Polish documents that purport to prove that President Roosevelt was secretly campaigning to incite war in Europe. As proof, they point to a website that contains an article detailing the sordid details of Roosevelt's plot. The problem is that the website that they refer to is well known as an antisemitic pseudo-scholarly body with links to neo-Nazi organizations. Its primary purpose is to disseminate views denying key facts of Nazism. It has been described as the "world's leading Holocaust denial organization." This is evident by an article on the front page of the website in support of Rudolph Hess, a convicted war criminal. The fact is that this information is not only completely unproven, but also totally at odds with the work of reputable historical scholars. Why do we receive comments like this? The reason is that people who believe that William Branham was a prophet become frustrated when confronted with a false statement by their beloved prophet. This is known as cognitive dissonance, and often results in Message Believers grasping at straws, or conspiracy theories, in order to keep the status quo of their lives. 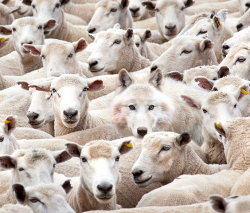 It is disturbing to think you are "a special elect" one minute, only to realize that you are deceived. As a result, it is mentally and emotionally easier to cling to anything that would support William Branham as a true prophet. This page was last edited on 3 September 2018, at 22:02.